Most people are at least somewhat aware that the Ivy League is an elite group of prestigious schools. You may even be able to name a couple of them (we’ve all heard of Harvard and Yale, right?). Through film, literature, media, and the unmistakable impact of its graduates, the Ivy League has become a ubiquitous symbol for the highest level of both academia and privilege. So what makes the Ivy League so special? We’re going to look at what the Ivy League is, why it matters, and if these schools live up to all the hype. I can tell you right now, when you learn where the name came from, you’re probably going to be disappointed. It may or may not have involved ivy. OK, that’s basically all there is to it. The Ivy League is comprised of eight schools: Harvard, Yale, Princeton, Cornell, Brown, Dartmouth, Columbia University, and University of Pennsylvania. All of these schools are in the northeastern United States. Of the nine colonial colleges established before the American Revolution, seven of them are in the Ivy League. 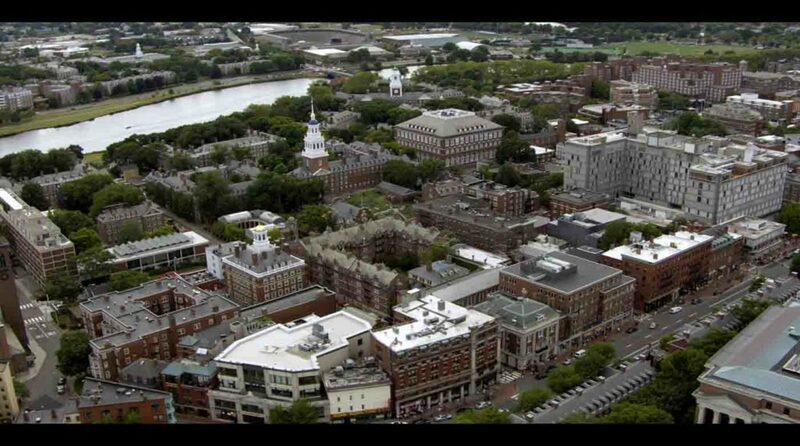 Harvard was founded in 1636 in Cambridge, Massachusetts. Even though it wasn’t officially chartered until 1650, it’s the oldest institution of higher education in the United States. Harvard has the largest financial endowment of any university in the world—36.4 billion dollars. Close to 30,000 students currently attend Harvard, and only about 5% of applicants are accepted into the school. Currently, about 97% of Harvard students graduate. Yale was founded in 1701 in New Haven, Connecticut. It’s the third oldest university in the U.S. Less than 13,000 students currently attend Yale, and the school only accepts about 6% of students. 98% of them graduate. Five U.S. presidents graduated from Yale, along with countless other government officials and cultural icons. 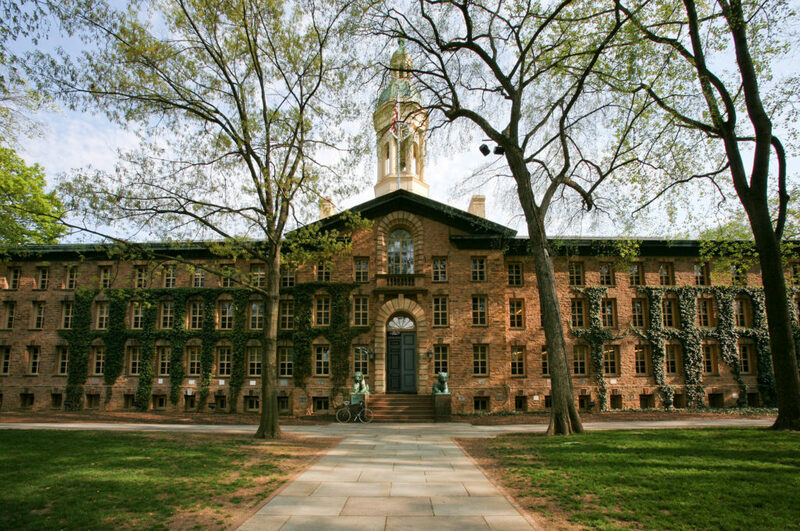 Princeton was founded in 1746 in Princeton, New Jersey, where it was called the College of New Jersey. It has relocated two times, and was named Princeton University in 1896. It’s the fourth-oldest institute of higher education in the U.S. Less than 10,000 students currently attend Princeton, and about 7% of all applicants are admitted. 97% of them graduate. Cornell was founded in 1865, making it the youngest of the Ivy League schools. Located in Ithaca, New York, Cornell currently boasts over 22,000 students. Cornell admits about 14% of applicants, and 94% of them graduate. Brown was founded in 1764 as the College in the English Colony of Rhode Island and Providence Plantations. It was the first college to accept students regardless of their religious beliefs, and it’s the seventh oldest institution of higher education in the United States. Around 10,000 students currently attend Brown. They admit about 9% of applicants, and they have a 96% graduation rate. Dartmouth was founded in 1769, and it’s the ninth oldest institution of higher education in the U.S. Located in Hanover, New Hampshire, Dartmouth is the smallest of the Ivy League schools, with less than 7,000 current students. They accept 11% of applicants, and 97% of their students graduate. According to The Wall Street Journal, Dartmouth graduates have higher average salaries than graduates of any other U.S. school. Columbia University was founded in 1754, and it’s the fifth oldest institution of higher education in the United States. Located in Upper Manhattan, New York, Columbia currently has about 30,000 students.They accept 7% of applicants, and 94% of their students graduate. University of Pennsylvania was founded by Benjamin Franklin in 1740, and is the fourth oldest institution of higher education in the U.S. Located in Philadelphia, Pennsylvania, “Penn” boasts about 25,000 current students. They accept 9% of applicants, and have a 95% graduation rate. You might think that the name for a group of schools so steeped in tradition and known for academic excellence would have a fascinating origin story, and that these schools must have done something extraordinary to earn such a prestigious classification. But in the case of the Ivy League, that’s wrong on both counts. The Ivy League has taken on all sorts of meaning as the names and reputations of the schools have worked their way through American culture—even reaching around the world—but it’s the name of a sports conference. The Ivy League is part of the NCAA, just like the PAC12, Big Ten Conference, Big Sky Conference, etc. That’s why these schools first came together—to form a sports league. But the reputation of this league has transcended sports to the extent that the name has stronger associations with academic prowess and elite status. As I noted before, these are some of the oldest schools in the United States. And since they’re grouped so closely together, it shouldn’t really come as a huge surprise that they banded together to form a league and play sports against one another. It also shouldn’t be surprising that a grouping of academic institutions like this would attract the brightest minds around, thus creating a sort of self-fulfilling prophesy: the brightest people go here because the brightest people went here. But that still doesn’t explain where the name came from. Why is it called the “Ivy” League? While we can trace the first appearances of the name, “Ivy League” back to newspaper articles that ran more than two decades before the Ivy League was officially established, the reason for the name was lost. All we have to go on is speculation, but there are two main theories—and they’re both pretty disappointing. We’ll get to those in a minute. The Ivy League was officially established in 1954, but the relationship between the eight schools within it began long before that. Yup. The most widely-believed origin story for the name of the most prestigious group of schools in the United States is that a reporter took a snub at them for growing ivy on the buildings. Interestingly (well, maybe), several of these schools had traditions of planting ivy around their buildings, beginning in the late 1800s. But not all Ivy League schools appear to have had this tradition, and some schools that aren’t part of the Ivy League did—such as Simmons College and Bryn Mawr College. That was in 1933. Two years later, we got the first actual reference to the Ivy League in the Christian Science Monitor, and suddenly sportswriters everywhere were using it to refer broadly to the older colleges, including several that are not part of what we know of as the Ivy League. Ivy doesn’t take very long to grow, but it does appear that it came to signify older schools, and the tangles of vines creeping up their buildings were firmly rooted in tradition. It doesn’t explain why these schools were initially selected for the league, but it does seem to fit. There are only so many ways you can take the meaning of “Ivy League.” And the other way is even less appealing. While it’s not nearly as widely held, some believe the Ivy League is actually a misnomer for IV League, and that there were originally only four schools in the league. The Morris Dictionary of Word and Phrase Origins bolstered this folk etymology. The alleged league included Harvard, Yale, Princeton, and . . . another school. Probably Columbia, but no one seems to be sure. Why is the Ivy League so important? There are lots of really good schools out there. And depending on what you want to do, some of them can even deliver a better education than an Ivy League school. Still, these eight schools are some of the oldest (including the oldest) institutions of higher education in the United States, and they have a world-class reputation for academic excellence. It’s hard to imagine any school or group of schools that’s had a greater impact on American culture, politics, business, literature, or academia. With such massive financial endowments, these schools will likely continue to be at the forefront of innovation. And because of the prestige of these schools, they’re going to continue attracting some of the world’s brightest students and faculty. Should I go to an Ivy League school? While “Ivy League” is synonymous with a great education, it doesn’t always mean the best education. Any program at any of these schools is going to be top-notch, but you shouldn’t just go to an Ivy League school because it’s an Ivy League school. You should choose your school based on which one has the best program in the field you want to get into, which one works best with your life, and which one you can afford. That could be an Ivy League school, but it might not be. And just because someone went to an Ivy League school doesn’t mean they’re automatically the most qualified candidate for a job, or that they’re smarter than you, or that they like sports. It might just mean they went to a school with ivy growing on it. Now that can be your bad joke if you decide not to go to one.